With a variety of security cameras on the market, choosing the right one can be daunting. What does an IP 24 MP PTZ camera mean, anyway? What factors should you consider for camera placement, quality, quantity, and price? Your first consideration should be your budget and goals for your security cameras. Is cost not a factor, and you need a large area covered by multiple cameras 24/7? Or are you on a tight budget, and only need a few cameras for a small area inside your business? Next, consider whether the camera is going to be indoors or outdoors. For a commercial business, your answer will likely be a mix of both. Outdoor cameras are meant to withstand the elements and tampering, translating directly to being more expensive than indoor cameras – which tend to be smaller. The quality of the camera itself is usually measured in Megapixels or MP. The higher the MP, the better the quality and higher resolution of the photo or video. Why such a large spread? Cost. The higher the quality, the higher the price. However, higher quality makes it much easier to identify suspects, especially if they get away. For comparison, the iPhone 6 has an 8MP camera; a Canon EOS Rebel T5 DSLR camera has 18 MP; a Nikon D3300 DSLR has 24.2 MP. There are a few considerations for wired vs. wireless. Picture quality, lag, and remote access all must be taken into account. A wired CCTV system allows for up to 12 wired cameras, for recording and live viewing of multiple areas at once. High Definition Composite Video Interface 720p HD Resolution, or HD-CVI 720p HD, is a higher-quality wired connection, with less lag than wireless connections. Up to 10 cameras can be installed on an HD-CVI 720p connection. HD Serial Digital Interface using a coaxial cable is the best-wired option. On top of eliminating digital noise, it can automatically color correct and change from color to black and white as needed. There is little to no lag time from the camera to a monitor. However, it is also expensive – but well worth the cost for the quality. HD Internet Protocol is the wireless option for security cameras, utilizing your existing network to transmit the picture. While there can be an up to 2-second lag, the feed can be viewed remotely – even from the comfort of your home. An optional upgrade allows for the feed to still record even if the network goes down. An IP camera can also have a two-way radio, allowing for an intercom or for a remote security guard to contact potential intruders. Fixed cameras have a set area they can record, requiring multiple cameras to cover an area. For example, an IP camera might have 70 degrees of vision. For comparison, a Nest home security camera allows for 1080p resolution with a 130-degree field of view – but is also $199 for a single camera. It likely does not need to move with such a wide view. A pan-tilt-zoom camera, on the other hand, does exactly what it says on the tin. Rather than having a fixed view, the camera can either automatically move, such as sweeping an area, or can be controlled directly. Using this, the operator can follow an intruder without the need for multiple cameras in an area. Zooming in allows for more details to be captured on camera. Once again, however, this comes at a cost, with fixed cameras being cheaper than PTZ cameras. While color is optimal for identifying suspects, such as the color of clothes they are wearing, it’s also more expensive than black and white cameras. Some cameras, as noted before, allow for both, depending on the lighting conditions. Infrared or thermal cameras, on the other hand, only work in low-light conditions, providing night-vision capabilities to your camera. IR or thermal complement daytime cameras, or are sometimes part of a daytime camera – capturing color during the day, and black and white at night. Some cameras, especially mobile ones, are solar-powered, allowing your business to save on the energy bill. With panels that rotate 360 degrees, these are greener options that can include night-vision cameras. Power is monitored remotely, with constant check-ups. Perfect for remote locations, a solar-powered camera can include a battery backup, lasting a few days. A camera system is often fixed in place, to provide security to a business constantly. However, in some industries, such as construction, a mobile, self-contained camera unit may be more advantageous. These can be solar-powered, as noted above, or powered by a generator. If the location is remote or the job temporary, portable security cameras make securing the job site a snap. Depending on the model, a mobile unit can include motion detectors, two-way radio, remote monitoring, strobe lights, license plate detection software, and PTZ cameras. 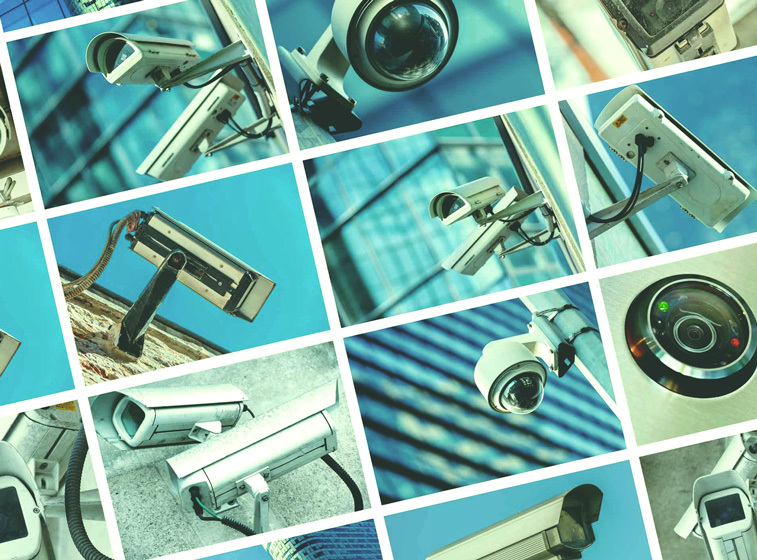 What choosing a security camera boils down to is what is right for the situation and what quality you have budgeted for, and whether being able to remotely view the cameras is important. Using the right tool – in this case, a camera – for the right job can make all the difference in catching a potential criminal.